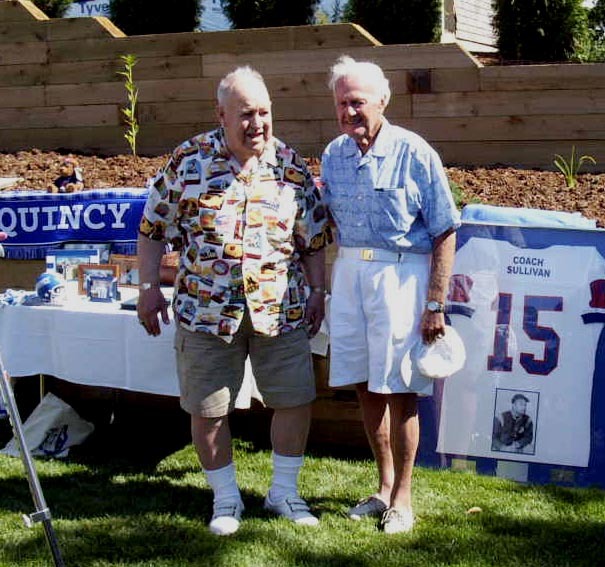 The Quincy-North Quincy Football Hall of Fame was established in 1983 to pay tribute to the legacy of this distinguished rivalry and to those individuals who best personify the spirit of competition and sportmanship which have come to be synonymous with the Annual Thanksgiving Game. As criteria for induction, the Hall of Fame committee gives credence to preparation, determination, teamwork and dedication as values not limited to the game of football, but also as principle: to guide each individual throughout life. 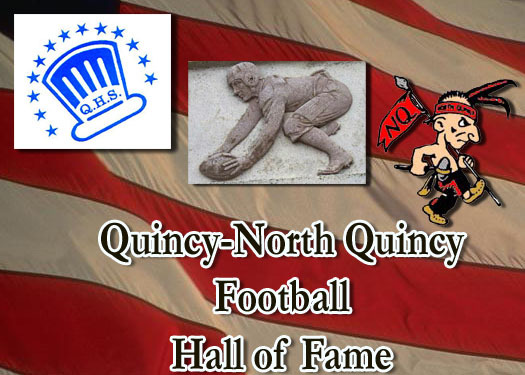 As an orginization, we strive to recognize those former players who, through their performance on and off the gridiron, impact today's Quincy and North Quincy football programs in such a positive fashion that these players might inspire to be the future of this hall of Fame. To search the list of Hall of Famers, click on the first letter of their last name. Only Coach to win 9 games in a row on Thanksgiving.